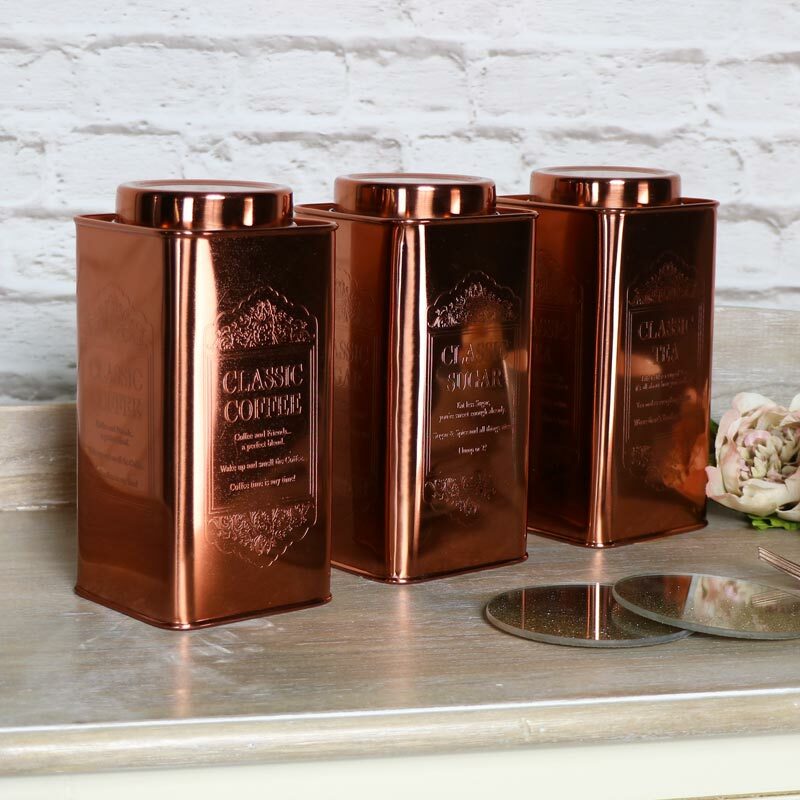 Add some vintage retro style to your kitchen with these vibrant polished copper storage cannisters. Perfect for adding some colour to the heart of the home. 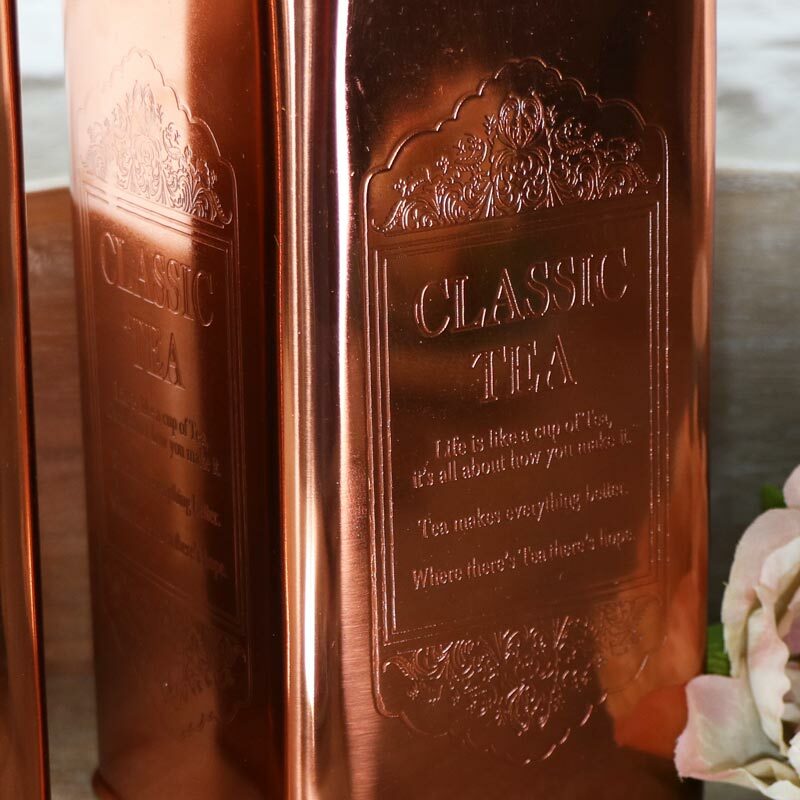 Each tin is engraved with their contents , tea, coffee and sugar and a little quote on each. 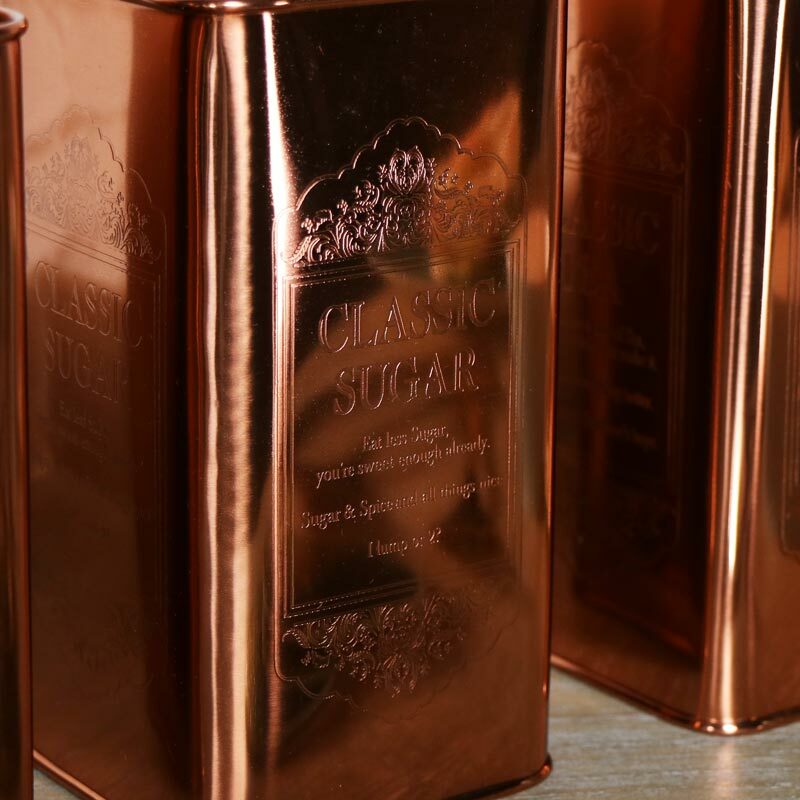 In a tall rectangular design, these will hold plenty of your favourite tea and coffee and sugar to sweeten your favourite drink. 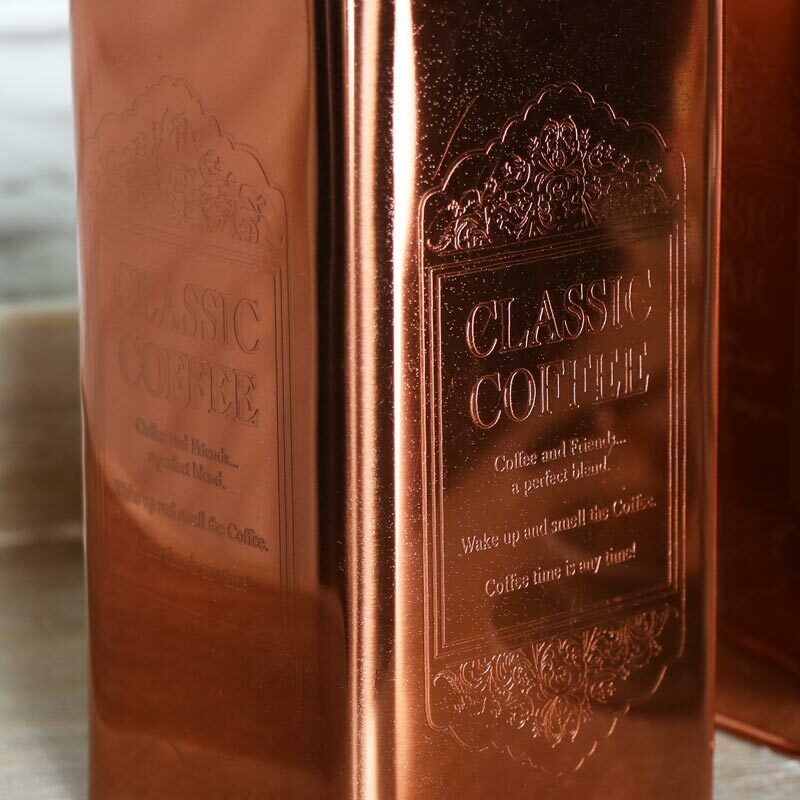 Made from metal in a polished copper colour, each cannister is airtight with a rubber seal. A great addition to our range of home accessories. This set of tea, coffee and sugar containers will make a great gift for someone special or a little treat for yourself. 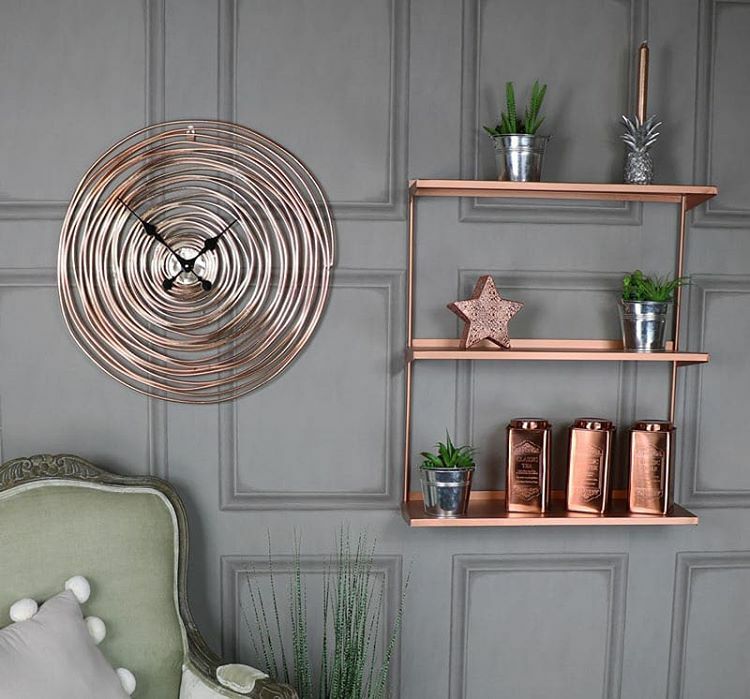 Gives you the perfect excuse to redesign your kitchen and add some copper accessories!